2. 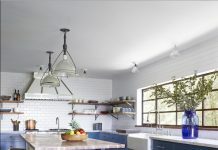 Tile in Unexpected Places – “Sometimes, a kitchen or bathroom becomes more intriguing based on where you choose to put your tile. 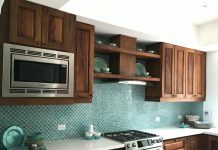 Extending a simple tile backsplash in the kitchen to cover the stove range hood will keep the design clean and fluid. 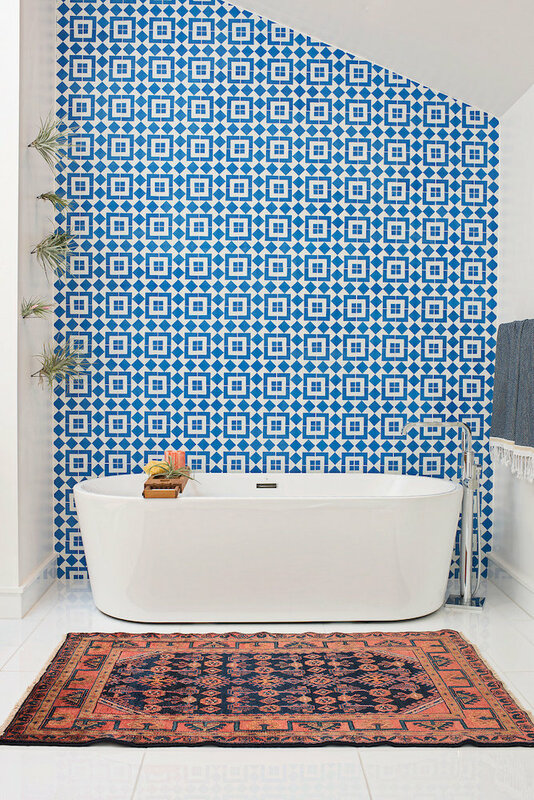 In a bathroom, create an accent wall with a patterned, colored tile, while using a neutral tile for the rest of the bathroom.” By keeping the rest of the space a neutral white, bold patterns like the Granada tiles on the wall and a rug by HD Buttercup can exist in harmony. Whether your style leans towards the bright or your taste is more subtle, we’re sure one of our cement tile patterns will catch your eye. With a palette of over 40 colors to chose from, you’re guaranteed to find one that works for your home. 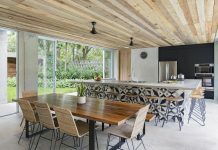 Check out our interactive catalogue or peruse our cement tile shop to see our large selection of in-stock handmade master-crafted cement tiles. And, of course, we’re here to help you make a decision. By the same token, you can call us at 213-788-4238. We’d feel happy to help you decide which of our encaustic tile designs would be perfect for your project. We’re sure you’ll fall in love with your new cement tiles before the grout dries.